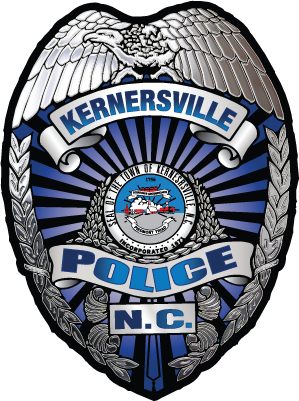 The Kernersville Police Department provides fingerprinting services on a first come-first served basis on Mondays and Fridays, excluding holidays. This service is provided in the main lobby of Town Hall located at 134 E. Mountain St. for residents of Kernersville and those employed or seeking employment within the Town limits. Fingerprints will be ink rolled on standard fingerprint cards. Electronic submission is not available. Cards will be provided for persons that do not have them. All biographical information is required on the fingerprint card prior to being fingerprinted. A valid photo ID (Driver’s license, ID Card, Passport, etc.) must be presented. There is a $10.00 per card fee due at the time of service.